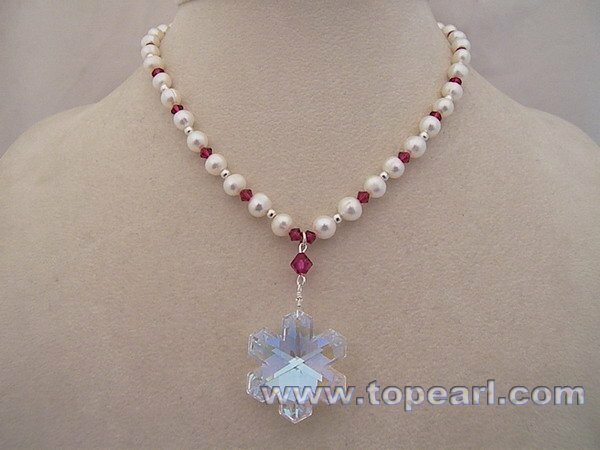 As wholesale bridal jewelry supplier, Topearl designs many selection of handcrafted and elegant bridal jewelry made from freshwater pearls, Swarovski crystal beads,gemstones and sterling silver materials. 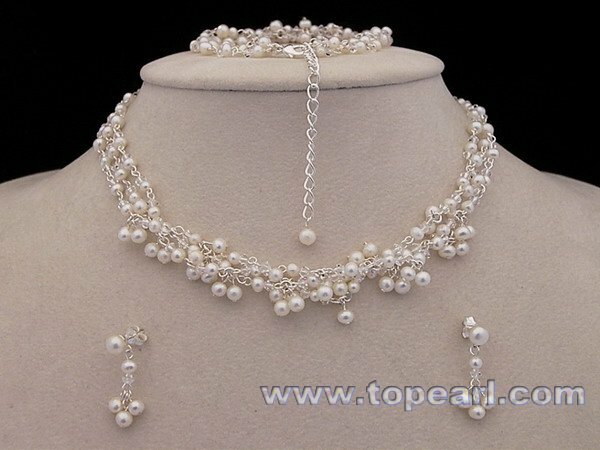 Besides bridal jewelry, topearl has the perfect jewelry or jewelry sets for bridesmaid at wholesale prices. You can choose your ideal pearl bridal necklaces,crystal necklaces,bridal jewelry sets,sterling silver bridal jewelry,bridal pearl earrings,bridal bracelet jewelry,bridal tiaras & more. Bridal jewelry is generally traditional with touches of modern trends making small but graceful changes. 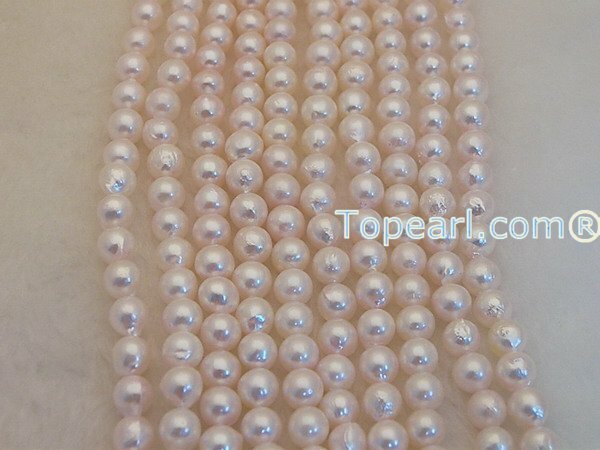 As wholesale bridal jewelry manufacturers, Topearl's always keeping abreast of bridal market trends. 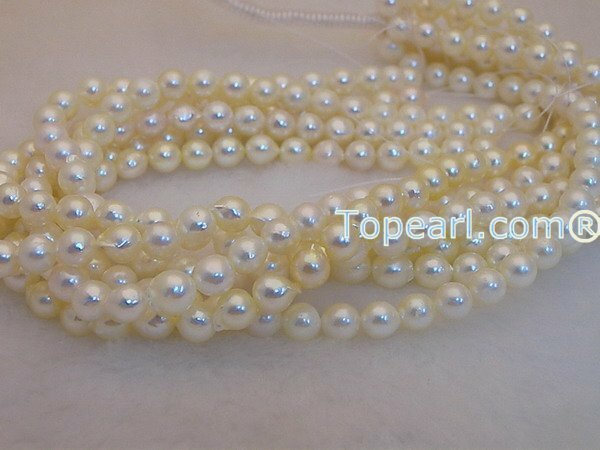 Welcome to order pearl & crystal bridal jewelry from Topearl.com,Wholesale jewelry store. China's gold demand is likely to surge tremendously in coming years, with market liberalization and increasing popularity of jewelry. Mainland gold consumption, including retail and institutional investment and sales of gold jewelry, increased by 13 per cent and 21 per cent in terms of volume and price respectively during the fourth quarter of last year compared to the same period in 2003. WGC teams up with local jewelry retailers and well-known brands to promote its recently developed K-gold, or 18k gold, products. Promotion of the K-gold series of jewelry is based on the research on young Chinese people, who attach more attention to design, fashion and workmanship rather than purity. WGC's figures indicate consumption of 18k jewelry accounted for 12 per cent of all gold jewelry last year, up from 5 per cent in 2003 and 2 per cent in 2004. WGC's statistics indicate gold demand on the mainland was 70.9 tons in the first quarter of this year, up from 62 tons a year ago. Meanwhile gold jewelry demand rose by 13.2 per cent year-on-year to 66.8 tons in the period, while retail investment climbed by 35.8 per cent to 4.1 tons. Customer Question: What are cultured pearls? Are they fake? Cultured pearls are not imitation or fake pearls. In fact, they are natural pearls with help from man. The forming principle, process and output between natural and cultured pearls are almost the same: an oyster secretes a smooth and hard crystalline substance when its inner body is irritated by sand or other solid substances. The intruded substance then is surrounded by the secreted crystalline substance called nacre, and after a long period of time, the nuclear will become a beautiful pearl. While the difference is: for natural pearls, the nuclear gets in the oyster by itself, while for cultured pearls, the nuclear is inserted by men. In this case, natural pearls and cultured pearls are almost the same and in some circumstances, cultured pearls are better in shape and luster because they form in selected oysters. 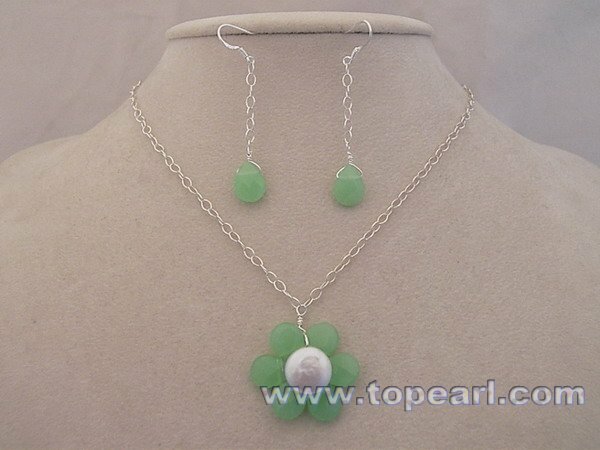 For Topearl.com, all pearls are cultured pearls - cultured freshwater pearls,akoya pearls or South sea pearls. 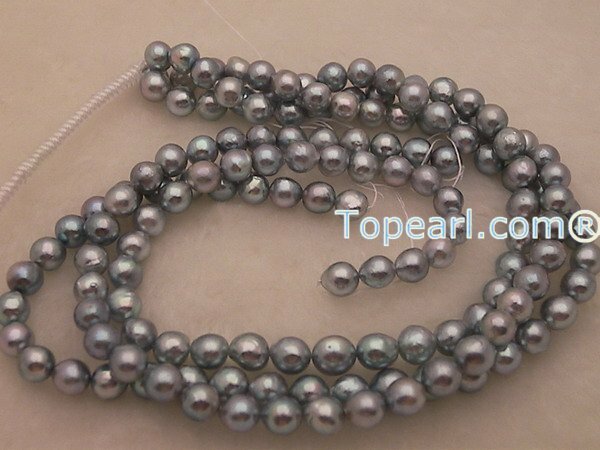 Welcome to visit our pearl jewelry store for pearl jewelry, pearl necklace. Many choose the metal for their jade bands or sets by matching them to their engagement ring. However, this is not necessary. A bride can wear her engagement ring on her right hand and the jade ring on the left (concerning Russia - vice versa). Also the bride and the groom can wear a similar style in different metals. Yellow Gold is the most traditional of ring metals. Usually 14k, 18k, or 24 k gold is preferred. While 24k is the most pure, it is also the softest. As you are going to wear your jade ring every day, it is better to choose 14k or 18k gold, unless you do not have to work with your hands and there is no possibility to scratch the wring. Platinum is a very stylish metal and also the hardest one. Platinum is not mixed with the lesser metals (such as copper, for example) that gold rings are. Though, a platinum ring puts you to a lot of expense. A jade or an engagement ring with a precious stone is a rather extravagant choice. Here, you should consider the durability of the stone, just as the durability of gold. While softer stones might be more beautiful, they are, nevertheless, not the best pick. Of course, a precious stone jade set may be excellent from the point of view of singularity, but again, if you are a person who does a lot of activity with your hands, that isn't the best selection. To help you make a decision, here is a list of common stones, and their hardness level according to the Mohs scale. (Mohs scale registers a stone's ability to resist abrasion; 10 is the strongest and 1 is the weakest. Anything less than a Mohs scale 7 is not recommended for an engagement or jade ring or set. If you are rich enough, you can, of course, afford a diamond or a platinum jade or engagement ring. And if you are not? Go back to your budget, weigh up your personal financial situation, though it is difficult to be practical when deciding how much money to spend on a jade/engagement ring, because what it symbolizes is priceless. This is where you can save or lose money. Don't be influenced to spend more than you can afford because of fear, a desire to impress anybody, or pressure from a salesperson, who may try to make you feel cheap or question your commitment. Moissanite is a naturally occurring mineral, silicone carbide. It was discovered in 1863 by Henry Moissan in a meteor. Since there are almost no supplies of this mineral on earth, scientists set out to create synthetic moissanite. They succeeded and created such a good substitute for diamonds, that sometimes jewelers cannot easily tell the difference. If women have always wore jade rings (as a symbol of married life and just as a lovely piece of jewelry), the practice of men wearing jade rings is relatively new. Up until the middle of the twentieth century, it was mostly only women who wore jade rings. When World War II broke out, and many men faced lengthy separation from their wives, man began wearing jade bands as a symbol of their marriages and a reminder of their wives. It was a gesture of love and affection that has survived into modern times. Men do not have to worry that wearing a jade ring is too effeminate. Heavy rings with a thick solid band, are a popular choice. A Celtic-style engraving or a simple plain band could also be considered. When choosing your jade band, think whether you would like it to match with your bride's jade ring. And now, the last hint. If a man definitely doesn't want to wear a jade ring, be it for emotional or practical reasons, there are some other symbolic ways of acknowledging his marriage. Firstly, he could wear a watch or chain engraved with a message from the bride. A more adventurous person can make a tattoo of a jade band around his finger. It certainly demonstrates the level of his commitment to his future wife.